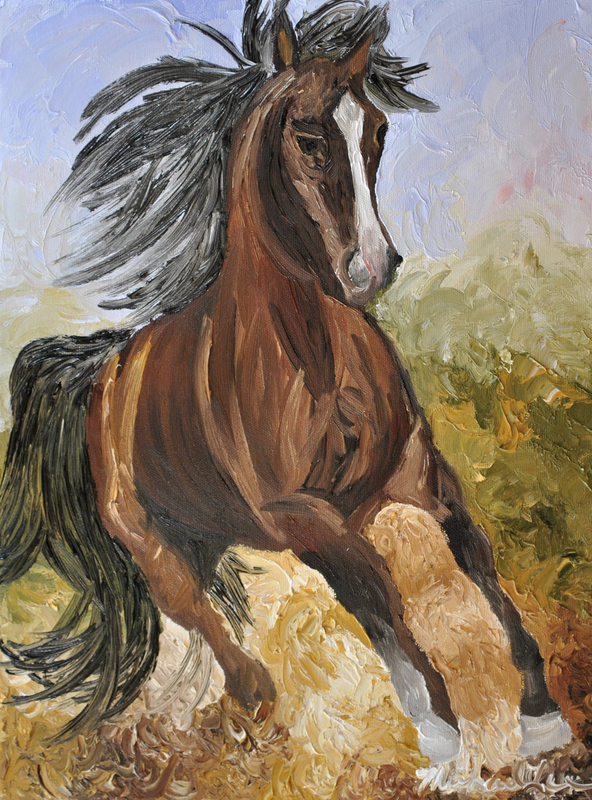 This painting is just one of a new series of equestrian paintings I am working on. In this series all the paintings will be of the exact same size and earthy color tones. 6.75" x 5"9.5" x 7"12.125" x 9"14.875" x 11"17.625" x 13"17.375" x 12.875"